Callen questions Nina/Talia Del Campo (Mercedes Masohn) about the explosion with Deeks. 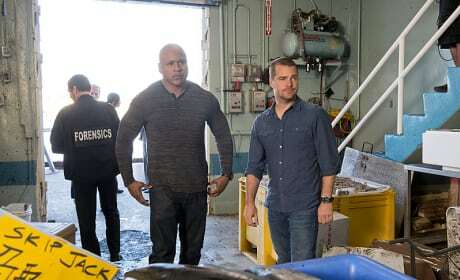 Sam and Callen arrive at the fish market after an explosion. Mercedes Masohn as Nina/Talia Del Campo is down while Sam looks at her leg. 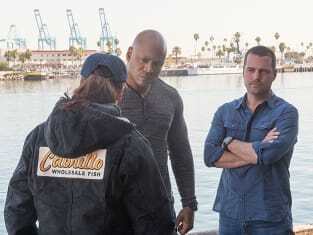 Sam and Callen talk to Nina at the port after the explosion. 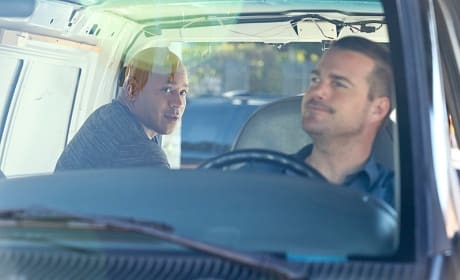 While doing surveillance, Callen peeks back at Sam. 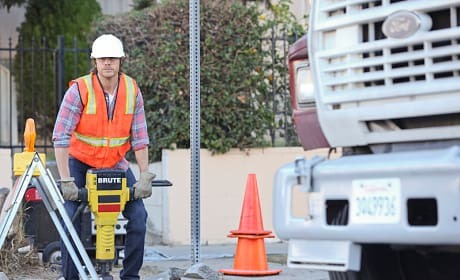 After an explosion hits the fish market, Deeks goes undercover as a construction worker. 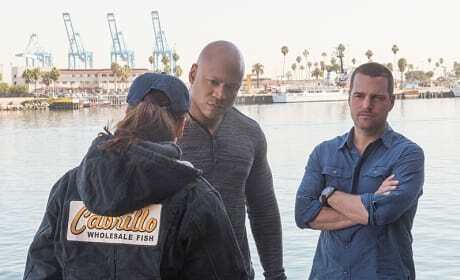 The team works with an undercover DEA agent on their latest case on NCIS: Los Angeles. "Fish Out of Water" is the 16th episode of the show's fifth season.